Welcome to the trendy "Q" building. Rarely available 1 bedroom on the 9th floor, a west facing gem! 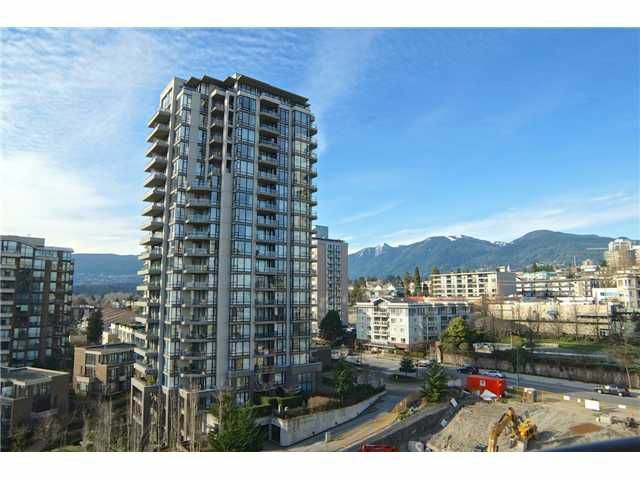 Floor to ceiling windows allows for plenty of natural light and views of downtown and the North Shore mountains. Open concept kitchen with new tile flooring, stainless appliances and ample counter space. Wide plank bamboo flows through the living area which is warmed by a gas fireplace. Bright and airy! Lots of closet space! Painted in neutral tones and finished with crown moulding affording you the opportunity to tie in your favorite accent color. The "Q" is located in vibrant Lower Lonsdale, a short walk to the sea bus and the Lonsdale Quay. 1 parking, 1 storage locker. Act fast! Call now for your private showing.